Obituary for Carrie Rebecca Aiken Maddox | Marcus D. Brown Funeral Home, Inc.
Evangelist Carrie R. Aiken Maddox, 65, of Columbus, GA passed away on Friday, January 11, 2019 at her home. 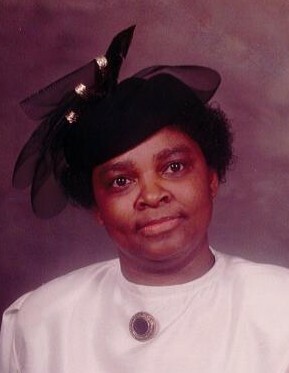 She is survived by her husband, John Lester Maddox; three sons, Thomas J. Aiken-Richburg (Rose), Corey L. Aiken (Melquay), Maurice A. Maddox; thirteen grandchildren; three great-grandchildren; three sisters, Vera Delores Aiken, Deborah Aiken, Willie Mae Aiken; three brothers, David B. Aiken, Danny Smith (Deborah), Willie H. Aiken (Dorothy); and a host of relatives and dear friends. She was preceded in death by her parents, Willie B. and Mamie Lee Glover Aiken; one sister, Willie Mae Aiken; one brother, Willie Lee Aiken; and Aunt Vera Payton. The interment will follow at Westview Cemetery, 430 Sayre Street Anderson, SC. We send our sincere gratitude and appreciation for all your support and prayers.